Darlington singer songwriter Hayley McKay has built up a healthy history of big gigs over the last year, so the chance to come back to our region and play the glorious Georgian Theatre is a pretty special one. After appearing at Glastonbury, Cornbury and Northumberland Live, performing in Nashville and supporting iconic artists such as Tom Jones and Martha Reeves, Hayley McKay is drawing attention to her unique talent wherever she goes. Gorgeous vocals and heartfelt, genuinely moving lyrics are the core to a gifted musician’s mesmerising output, and with a show at Georgian Theatre, a busy 2017 looks set to have given way to a rather spectacular 2018. 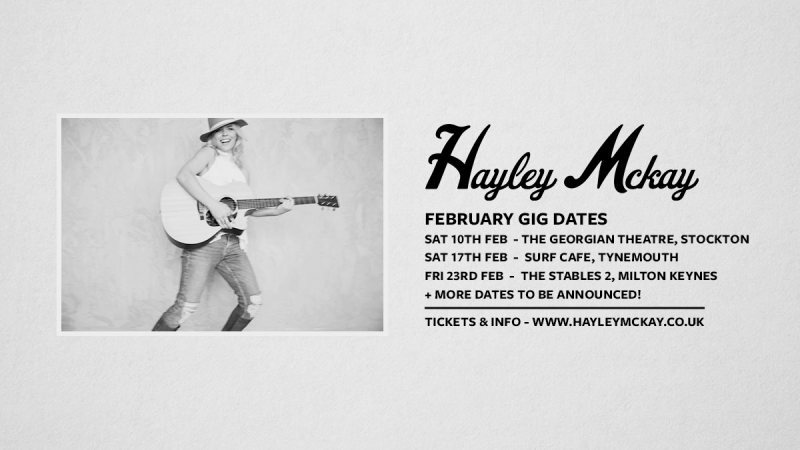 Hayley McKay plays Georgian Theatre, Stockton on Saturday 10th February.